Seniors are more vulnerable than the average person to chronic pain. This is true for a number of reasons, including greater joint and muscle wear and tear, the presence of other medical conditions and a general decrease in activity levels. Up to 88 percent of seniors have chronic pain, yet it often goes undetected or untreated. Here is why seniors experience chronic pain, diagnosis and treatment challenges and what people can do to help their senior loved ones who are experiencing pain. Why Do Seniors Experience Chronic Pain? As you age, your muscles and joints gradually become more rigid. Calcium deposits make joints move less efficiently. Skin becomes more fragile, sensation decreases and muscular movement becomes less fluid. Healing from injuries takes longer as you age. Due to natural bodily changes, older adults are more vulnerable to aches and pains. They are also more vulnerable to accidents that can lead to chronic pain. Falls among the senior population generally cause more damage and complications than those among younger adults. Statistics show that older adults are less likely than younger adults to be forthcoming about their pain with their doctors. This could be out of fear of potential illness, or because they do not want to seem vulnerable. Often, seniors feel that pain comes with age, and that reporting it is unnecessary. Some seniors may also have more trouble communicating about their pain than the average adult. This may be due to decreased hearing, communication difficulties associated with a stroke or even dementia. Whatever the reason, the fact remains that diagnosing chronic pain in older adults is a challenge. This leaves many seniors trying to cope with chronic pain unguided, and may also leave them vulnerable to anxiety and depression. Treating chronic pain in older adults is a bit more complicated than with the average adult. First, because seniors are less likely to report their pain, many instances of chronic pain in this population go undetected. This may lead to pain denial, or even self-medication, both of which can potentially become dangerous. 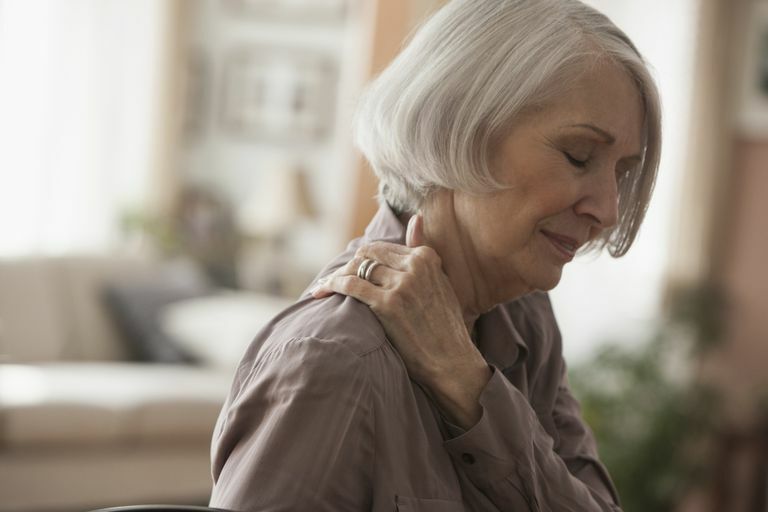 Another complication of treating chronic pain in seniors is that older adults tend to have more adverse reactions to pain medications than their young adult counterparts. This means that medication needs to be monitored more closely in seniors and that medication changes require more time. This can be frustrating for both the individual and his healthcare provider. Some seniors simply won't take pain medications because they do not want to suffer the side effects. Finally, close monitoring is required to ensure that medication interactions do not occur. Seniors are not only more vulnerable to chronic pain than the average adult, but they tend to have a greater number of medical conditions as well. These include heart disease, lung disorders, diabetes and blood pressure problems. It is important to monitor drug regimens closely to avoid potential medication interactions. Because there are many risks associated with chronic pain in older adults, it is important to keep on top of pain conditions. If you have a senior friend or relative who suffers from chronic pain, keep a watchful eye on them. Do they seem to be in pain? Are they taking medication as directed? Do you notice any evidence of confusion that might be associated with medication? Keeping tabs on your loved ones in their senior years can reduce the risk of chronic pain complications. Though chronic pain in older adults may be difficult to diagnose and treat, a little awareness can make all the difference in the quality of life for people experiencing pain. Pain. The Merck Manual of Geriatrics. Section 6. Neurologic Disorders Chapter 43.